We created a campaign page for the new male fashion line from MCM. MCM celebrated 2016 its 40 years anniversary. With in this special year MCM planed to take different paths and modernize the brand that so far only known for its iconic handbag designs. 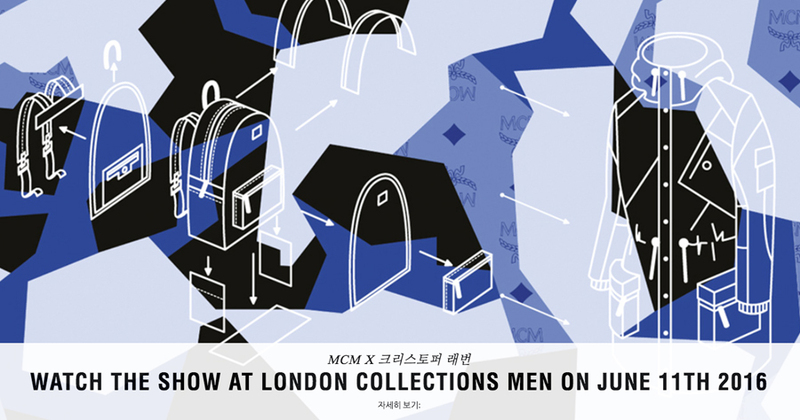 MCM collaborated with London based fashion designer Christopher Raeburn to create their first men fashion series made from MCM hand bag parts. The collection was presented at the “2016 London Collection Men” and globally live broadcasted on our campaign page. The page is part of the MCM Worldwide page and got localized for several global markets.